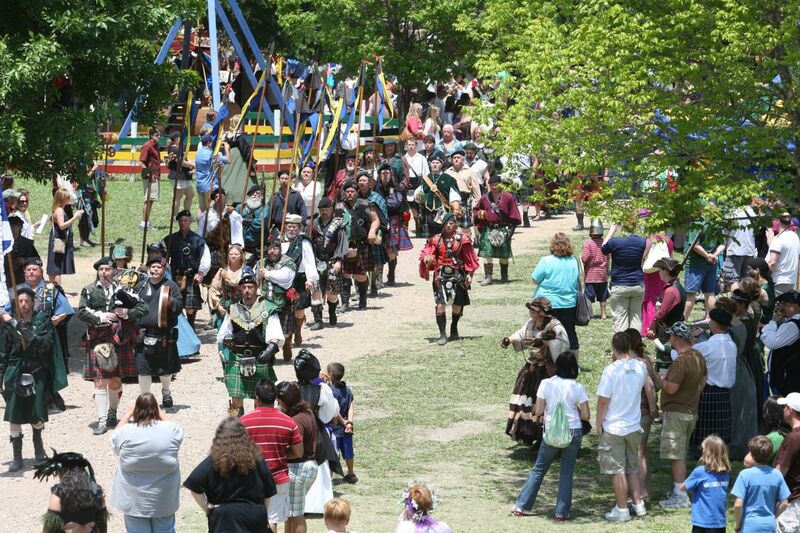 Begins in Pecan Grove at 1:00pm, winds its way through the Village to arrive at the Royal Pavilion in the Holly Field. Villagers, artisans, nobles, and knights join together every day at 1:00pm to march throughout the Village of Scarborough. See banners hoisted high and catch a glimpse of the Village artisans, the Royal Court, the Royal Guard, and Their Majesties.